Wouldn’t it be nice to enjoy a luxurious day at the spa? Well-at least until you get the bill. Ouch! 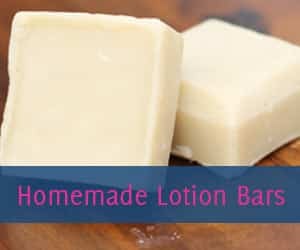 Now, with the help of this homemade oatmeal body scrub, you can enjoy some much needed pampering in the comfort of your own home without maxing out your credit card. 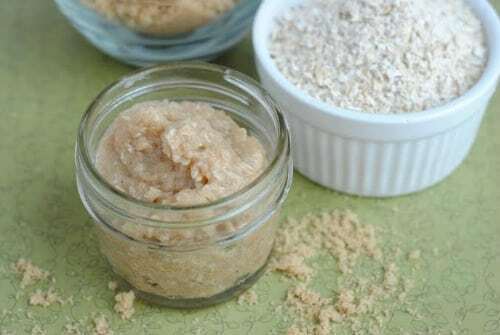 Plus, this homemade oatmeal body scrub makes a great gift for Mother’s Day or for anyone that deserves a little “me” time from friends to family to teachers. 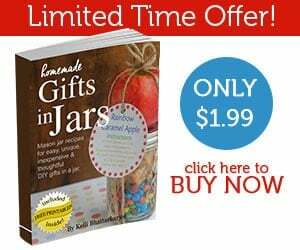 For more DIY inspiration, check out these 25 DIY teacher gifts. 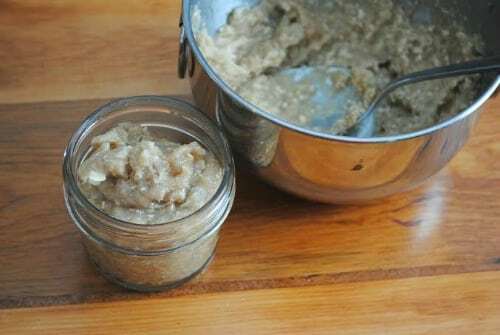 You don’t have to be Martha Stewart or a DIY guru to make this homemade Oatmeal Body Scrub. 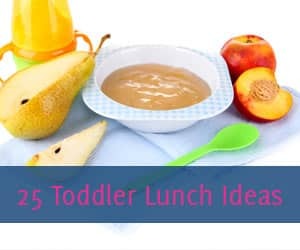 It’s simple and quick to create and you may just have all the ingredients in your pantry. 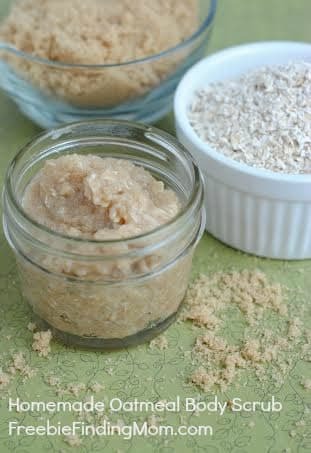 One of the ingredients in this homemade oatmeal body scrub is coconut oil. If you’re a fan of Dr. Oz or a frequent reader of Freebie Finding Mom, you know that coconut oil has many health and beauty benefits. 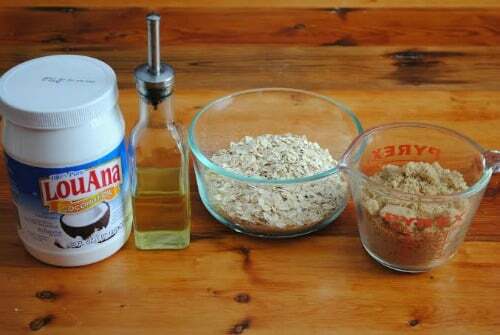 This homemade oatmeal body scrub is another way to introduce coconut oil into your routine. 1. Using a blender or food processor pulse/blend the oats until they are a powder-like consistency. You will still have a few small pieces mixed through-out. 2. 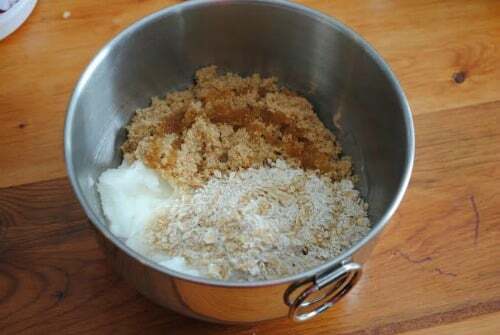 In a medium size bowl combine the coconut oil, brown sugar, olive oil, ground oats and mix well. 3. Pour the scrub into four or five 4 oz. Jelly jars. 4. 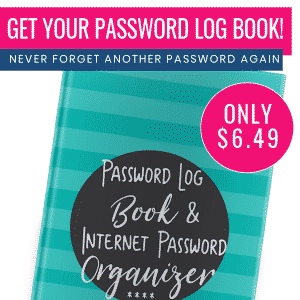 Print and cut out the labels and place on the lid; the metal ring will hold the label in place. When stored in an airtight container the scrub will last for approximately 6 months. If there is any separation simply stir the mixture. I love trying natural health and beauty recipes! This one sounds great and I will definitely be trying it! I am glad you like it, Maria. I am a big fan of DIY gifts. Hi. Thanks, I’m going to try. But, I’ve never tried so do you just rub in wet/dry skin then rinse right off? Are there any alternatives to coconut oil? Should you just replace it with extra olive oil?? You probably could, but I just LOVE coconut oil, so many health and beauty benefits. Let me know how it works out for you. Does it help with dry skin on your body ? Can I leave the brown sugar out? I’m not comfortable with it. or is there a substitute? Thanks. You can substitute granulated sugar for brown sugar. When making the oatmeal scrub does the coconut oil need to be in a liquid form or its natural state from the jar when combining the ingredients? You can use a solid coconut oil or fractionated (liquid) either one will work. How long is the shelf life of this? Typically they will last a couple weeks. 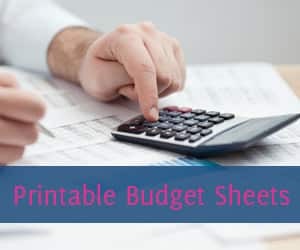 If you add a tsp. or so of vitamin E oil not only will you get the benefits from the vitamin but it also acts as a natural preservative and can double its shelf life. Im sorry, you said six months above? What is the difference? I was also wondering if you know the definite shelf life? And directions of use? How long would I leave on hands and do I rub on dry? Can the Vitamin E oil replace the olive oil? Can I use canola oil ? Love the recipe but I noticed what kind of coconut oil you’re using. Should try 100% organic cold pressed Virgin coconut oil. Speaking from experience and a bad breakout. You’ll get more of the vitamins because it’s less processed. That rule can be applied to every oil. I’m going to try this recipe with black walnut oil. 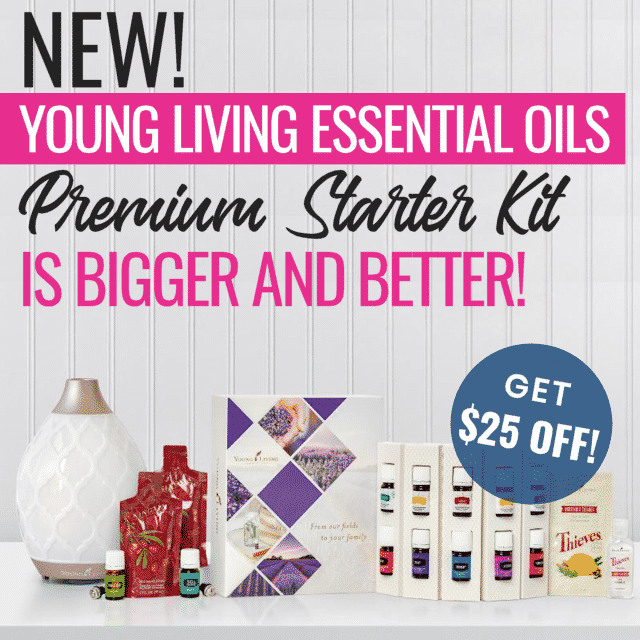 And if you watch for sales these expensive oils can be picked up cheap and some will email you coupons. Thanks for the recipe!